New challenges present new learning opportunities. 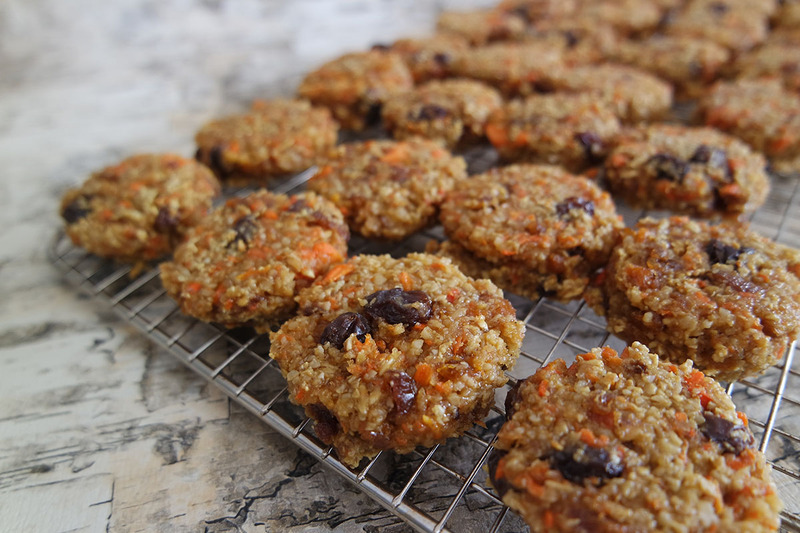 That’s exactly how these carrot cake breakfast cookies came to life. Lately, I’ve been having a pretty rough time with food. 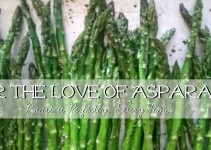 A once bright and beautiful relationship has recently become murky and deceitful. Since developing my postpartum joint pain, I’ve tried gluten free, low lectin, no grains, low grains, pastured only dairy and meats, paleo-ish… and now I’m on my latest venture called the immunocalm diet. 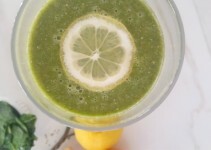 It is developed from an MRT blood test that tests for 150 foods and chemicals. Based on the results, you find out what you are low, moderate and highly reactive to. It’s a food sensitivity test that measures any cell-mediated reaction in response to a specific food or chemical. From this report, the diet that is implemented involved phases of tested-only foods, beginning only with the lowest reactivity. So due to this, my diet is super limited. The food list allowed in phase 1 is not huge, lets just put it that way. So every time I cook lately, I feel as if I’m a chef on a game show who is competing to make the best dish with only, “These 7 ingredients”! Because of my new real life game show, I’ve been doing some recipe development. Dear Lord, I have to, otherwise I won’t be able to eat! So out of every bad situation, there comes good, right? Yes, sometimes it takes a while to see it, but eventually, you do see the reason for the challenge. By the way, if you’re going through something rough, you’ll love the inspiration I recently wrote about in Why Do Bad Things Happen. Never before have I made a breakfast cookie. Never have I had a breakfast cookie until this one …and it’s goooooooood. Taste: Perfectly rich and plesently sweet. Texture: Not spongy but not dense; the absolute perfect chewy texture for any breakfast. And so moist! Pros: Healthy, lower sugar, high protein and you’re incorporating vegetables into breakfast and snacks. Easy and little clean-up. LEAP approved. Cons: You will need a food processor. This is the one I use and love: Cuisinart Prep 11-Cup Food Processor . 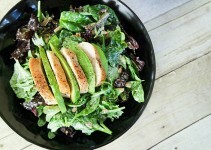 There’s nothing better than healthy, good tasting food that your kids beg for. I promise, these will be one of those foods! Better get ready to save this recipe, because you’ll make them time and time again. Pin here! Part of what makes these special are Turkish apricots . I love the brand linked and also love the ones from Trader Joe’s. 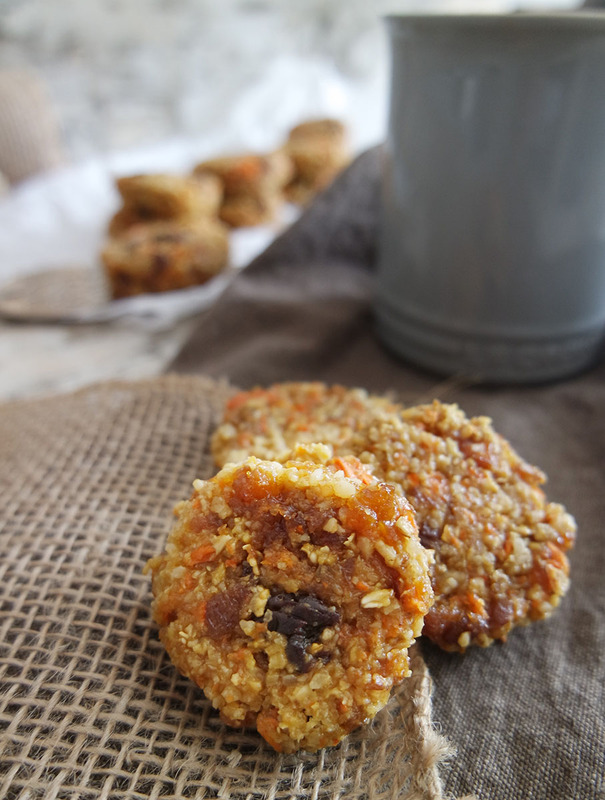 They have a completely different taste than typical dried apricots and are so moist! They boast a rich vanilla flavor and are incredible. And speaking of Trader Joe’s, they have the best raisins I’ve ever had. Organic Thompson Raisins are amazing and don’t have any preservatives. They are so sweet, sticky and moist compared to those Sunmaid ones. Certainly worth the trip. If you don’t have a TJ’s near you, here’s a link for some on Amazon: Trader Joes Organic Thompson Seedless Raisins. I use raw, unsalted cashews so I can be in control of the sodium content. So just be sure to check your labels. If you only have salted, I’d certainly cut back on the salt in the recipe. If you try, please post it on Instagram and tag me @jessaleonanutrition so I can see your beauties! 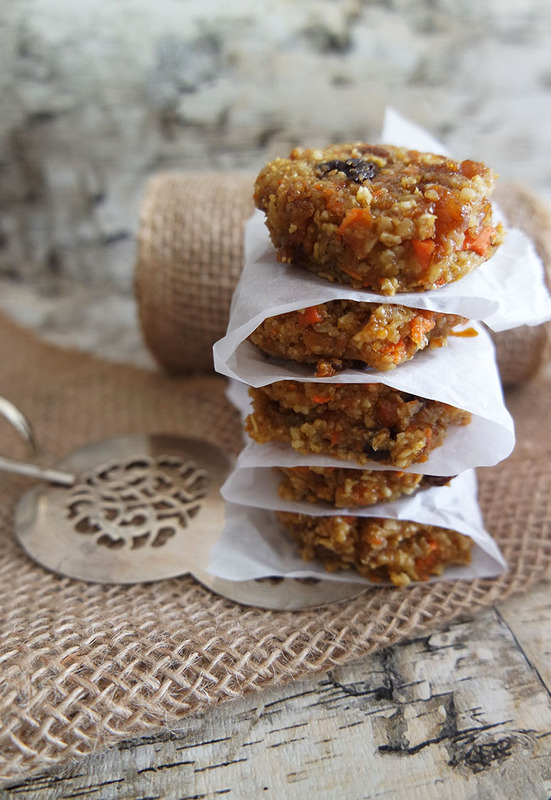 A delicious, chewy cookie...for breakfast! In a food processor, add carrots and process about 10 seconds until they are in small bits. Empty the carrots into a large mixing bowl. Return the processor to base and add cashews. Process for about 20 seconds until fine. Empty the cashews into the mixing bowl with the carrots. Return the processor to base and add oats. Process for 5 seconds. 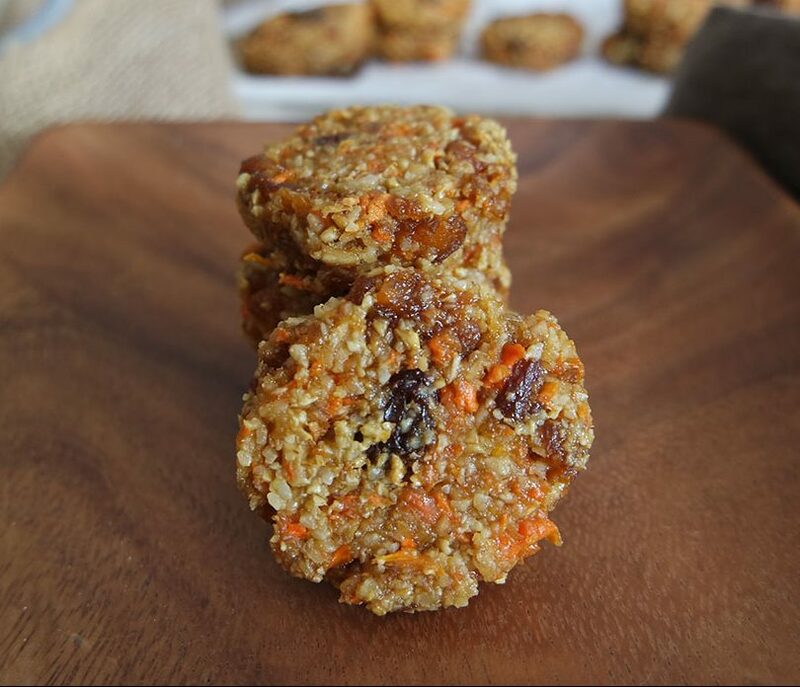 Empty the oats into the mixing bowl with the carrots and cashews. Return the processor to base and add apricots. Process for about 7 seconds to cut into smaller pieces. 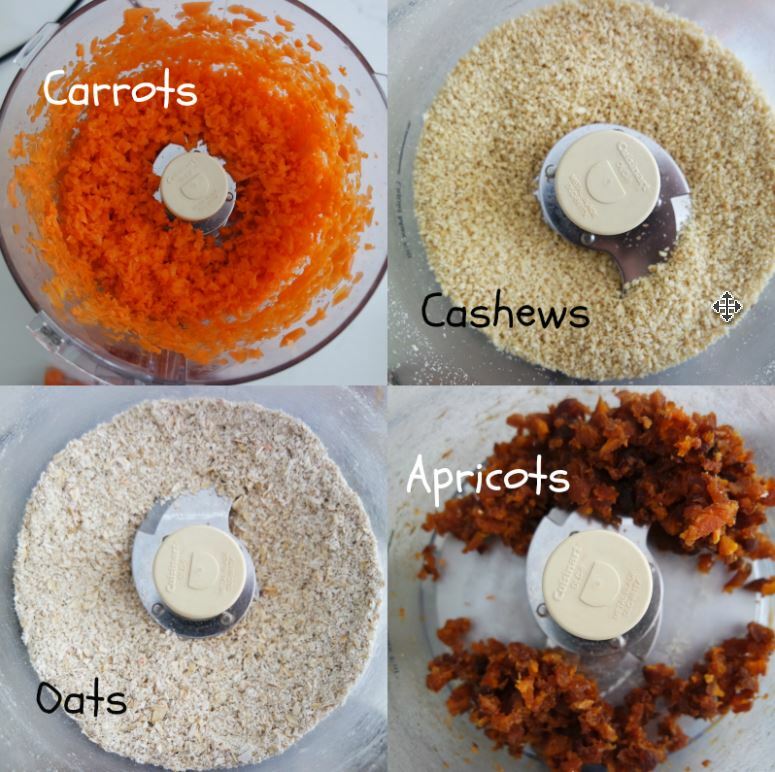 Empty the apricots into the mixing bowl with the carrots, cashews and oats. Into the mixing bowl, add the rest of the listed ingredients: raisins, eggs, brown rice syrup, vanilla, salt, baking soda and baking powder. Mix until incorporated. Using a cookie scoop (I used 1.5T), scoop the cookies onto the sheets. Bake for about 20 minutes until set. Remove at once and lightly press to flatten with the back of a spatula. Looks really yummy, I can’t wait to try these!!! I’d love you to snap a photo and let me know what you think! I loved this article and thought you would too. 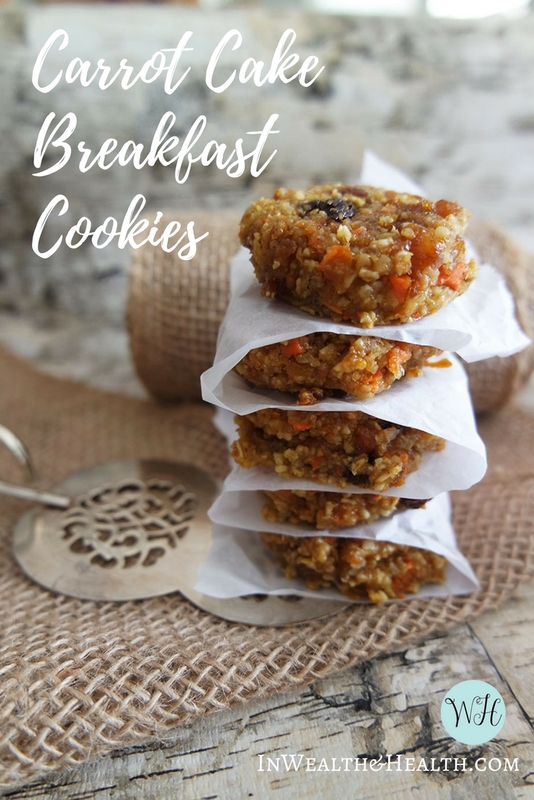 Here it is Carrot Cake Breakfast Cookie Recipe located at http://www.inwealthandhealth.com/carrot-cake-breakfast-cookie-recipe/.